Again the mysterious and malevolent Doctor sheds his yellow light upon the populace of England. The Reverend Eltham returns to England with the name of a secret correspondent in China. He is followed by Fu Manchu, who is willing to use all his diabolic powers to get this information - but Nayland Smith and Dr Petrie are there to thwart him. 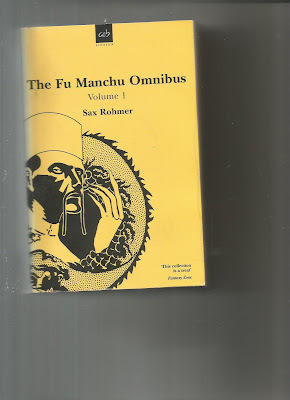 The second in the Fu Manchu series, published in 1916, and this carries on as outlandishly as the first. These are hokey as all hell but are a real guilty pleasure. The writing is average but there's several murders and narrow escapes every other page which makes for great fun. I looked into his face - it was drawn and grim, and his brow was wet with perspiration, but his eyes had the fighting glint, and I knew we were upon the eve of strange happenings.